On any given day, most of us don’t think about organ donation, establishing power of attorney, or burial orders, but, regardless of one’s age, we should. 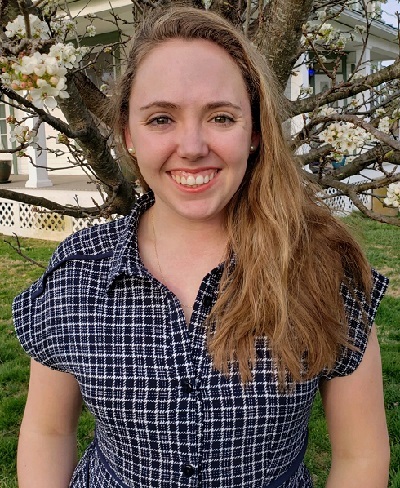 Bridgeport High School alumnus Danielle Funk knows all too well the importance of establishing end-of-life care early, as she was recently selected as a Program Assistant to the nationally recognized West Virginia University Center for End-of-Life Care. While earning her Bachelor’s degree in Sports and Exercise Psychology, Funk served as a student worker for the center, which coordinates, educates and provides resources for advance directives. During her experience, she learned the ins and outs of creating living wills, Physician Order for Scope Treatment, and Do Not Resuscitate orders, all options for those facing medical decisions. Although most don’t want to think about those types of decisions, having them in writing can ensure that the patient’s preferences are followed if he or she is unresponsive. Funk, who is currently finishing her Master’s Degree in Sport and Exercise Psychology at the University of North Carolina Greensboro, has always been driven. The initiative she demonstrated as a student working in the WVU Center for End-of-Life Care proved to make a lasting impression and when a position came open for a program assistant, she was immediately hired. Always one to challenge herself, Funk has been instrumental in guiding patients through the process of advance directives and explaining the benefits of the new system, which provides a seamless process to access the registry for approved providers. The registry and center were recently recognized as a national leader in advance care planning and the development of the statewide registry. In fact, West Virginia was recognized as one of three states with both the registry and the Physician Orders for Life-Sustaining Treatment registry. Additionally, the Mountain state ranks in the top two states for easy access to the necessary systems. As a student in both undergraduate and graduate school, Funk has explored both the physical and psychological effects of medical experiences. Her thesis focused on the fans’ perception and understanding of American professional tackle football, concussions and chronic traumatic encephalopathy. It is the first study on these topics that has focused on the general population and the results will be beneficial for future research projects on these topics. Whether applying her research to sports or end-of-life care, Funk’s dedication to the nationally recognized center is notable. She has been able to work collaboratively with medical professionals to hone her skills in the field and is now ready to pursue a doctoral program that will focus on head injuries.